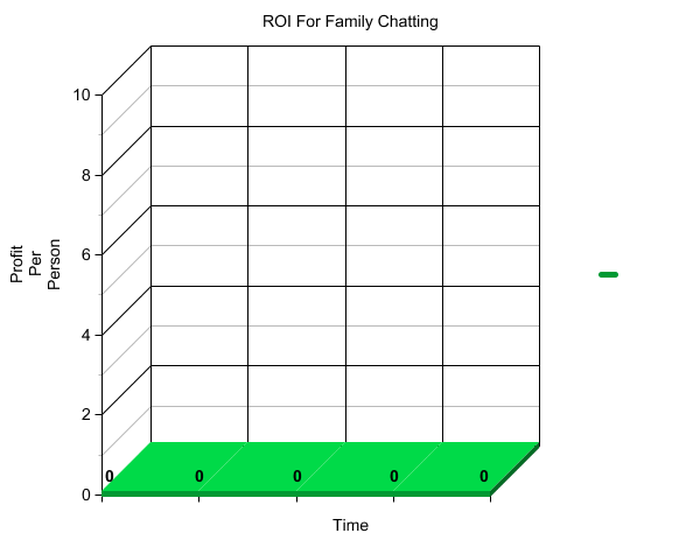 A project to create a private server for chatting with family. How Family can Sign Up? Ask me! I’ll get a family account set up, and you’ll get an invite to set up a username and password. 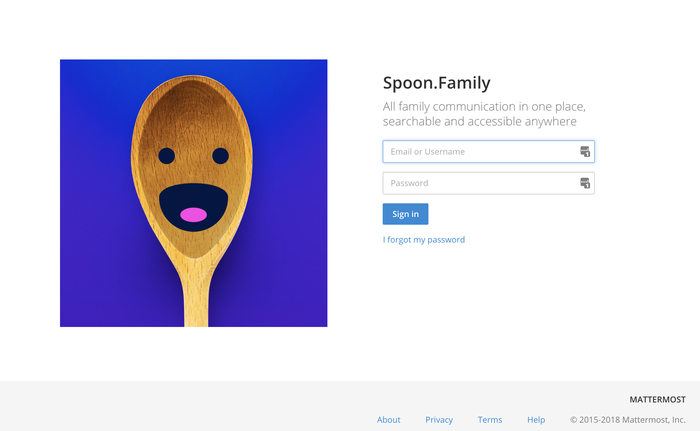 When you have your account, just go to https://spoon.family in their web browser, or install the MatterMost app on their smart device of choice, and log in! My family is awesome, and I like to stay in touch. - It’s a real challenge since we are spread around the country, and all are technology savvy folks with different preferences and platforms for talking with our friends. There used to be sites like myfamily.com and similar that worked to help families stay in touch, but many have shut down. Some families use Group SMS, email, or other messy solutions like iMessage from Apple which leaves someone out of the conversation because they don’t have an Apple device. My brother Austin proposed a cool experiment I’ve seen several families trying out - Set up a free Slack group and have the family use that! This was a really cool idea since most modern folks are more likely to share what they are up to if they are doing so from their mobile phone. The thing is - it worked! We got grandma, and the kids, and everyone else talking and even using channels to let folks have many threads of conversation going. We could also share those pictures of the kids, and best yet, no silly SMS or email! Thanks for reaching out today! We don’t have any discounted versions of Slack right now or a family version, I’ve added in some details below on how we created Slack’s pricing, if you’re interested. Hope that helps and good luck with Slack! We definitely understand price will be a factor in some team’s decision about whether or not to use Slack. The bottom line is we don’t think it is feasible for us to try to compete on price while meeting the standard of quality we aim for across all aspects of the service. And we believe our customers’ communication tools deserve the highest standard of quality. We are not trying to be the cheapest: we are trying to be the best. If that means we have a smaller number of (happy) customers in the end, that’s okay with us: we’d rather end up there than with a larger number of potentially frustrated customers. That’s how we built our pricing model. For the intended audience of technology workers, Slack’s per-person cost for the standard tier comes out to about one-one thousandth of the total cost of employment. It takes a very tiny number of hours saved across the whole team to pay for Slack for a year. The cost is about the same as a pizza lunch each month. Having said all that, we know there are cheaper alternatives out there. For some teams, those alternatives will be good enough. Those teams should take the cheaper option. That’s ok with us — it’s the way business works! We hope you’ll choose to use Slack. We’d love to have you aboard. But if you choose to go in another direction, you can always export your archives too or stay on the free plan forever if you wish. Well, as you can imagine, the ROI per-person wasn't panning out. So this really got me thinking of other options. On top of that, Slack owning/holding the data was a bit of a rub with our family. So we looked at a few alternatives. The first I came to was this cool, at the time extremely alpha new service called: https://kindaba.com/ - it’s really grown up since I first looked at it, and I think we’d be tempted by it now, but back then we needed something more built out. So, we took a look at several competitors to Slack. Something I could host would be fine, ideally cheaply in the cloud. How about we host a minimal MatterMost sever for family conversations, photos, and video? With all the private encrypted backend storage on super cheap S3 buckets???? Encrypted Secure Chatting for all the family??? Whoa, Neato! - so here is how I set it up. I have a background in Site Reliability Engineering and other fun stuff - so this wasn’t that hard for me, but I realized I had a million options for how to set this up, and I decided to do it as simply as possible. 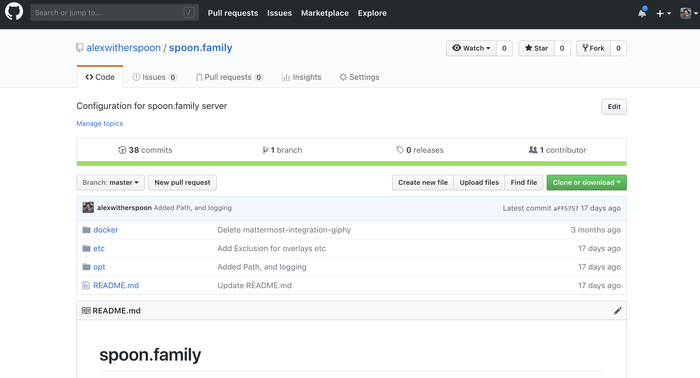 All the configuration is in the above repository on GitHub, and could be manually or automatically deployed however you see fit. I used an Amazon Web Services instance, combined with one S3 bucket for backups, and one S3 bucket for all the file or media data shared by MatterMost. I’ve set it up with silly simple cron auto-updating for the image and the OS. It’s hand’s off, and just works super good. The total cost of this has been hovering just around $11 a month for virtually unlimited users and lots-o-messages.